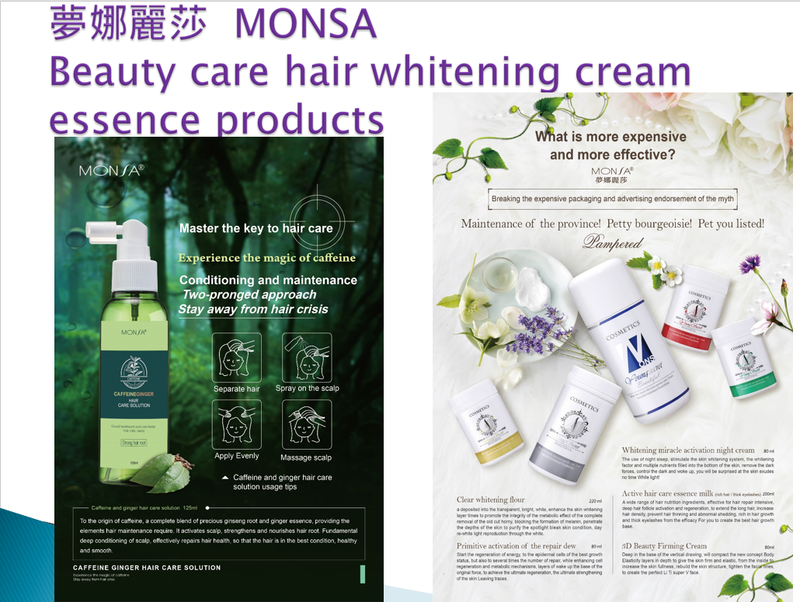 We, Tung Shin has been a manufacturer of personal-care products over 20 years in Taichung, Taiwan; we offer wide range of beauty and related personal-care products. 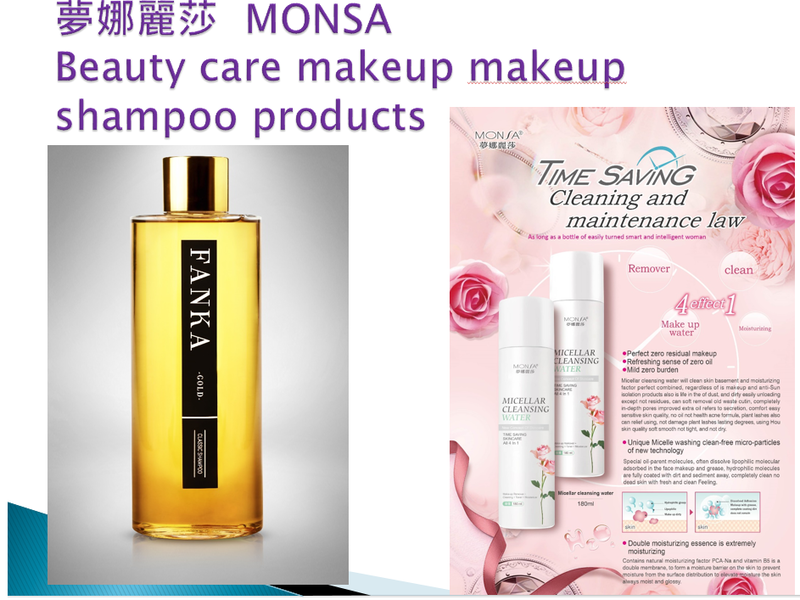 We manufacture cosmetics, skin care products and detergents; we are devoted to making high quality but affordable products. 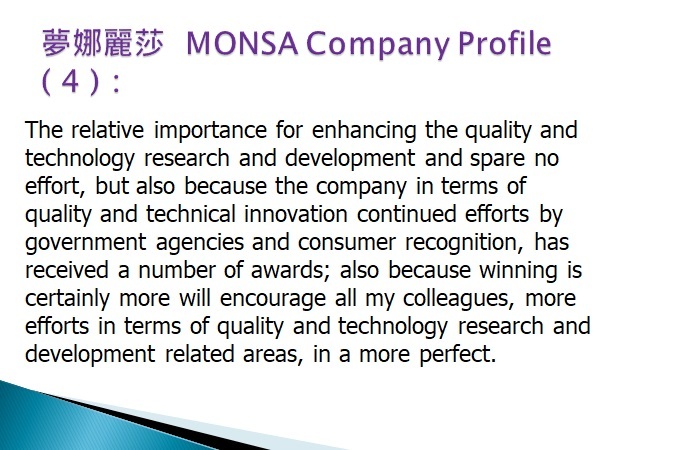 We put time and effort in our R & D department, so it helps us anticipate consumer preferences and devise ways of satisfying them. 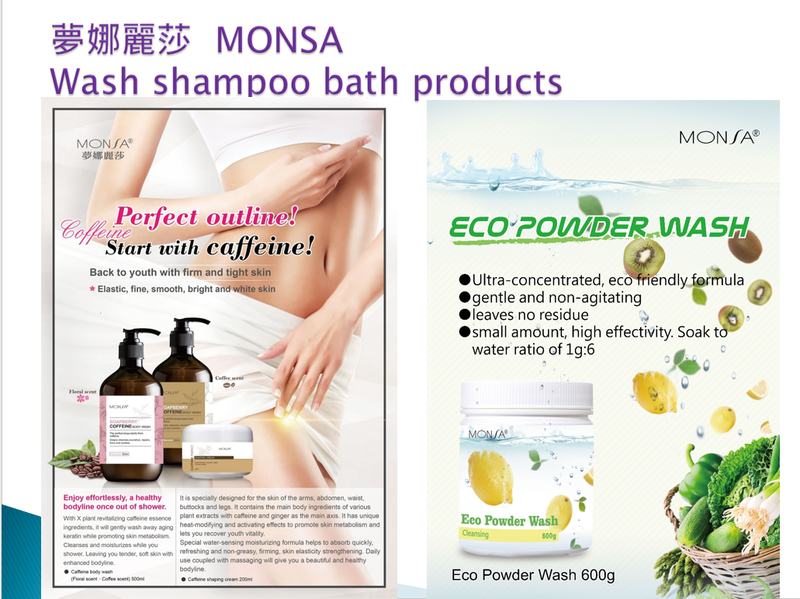 Now we have hundreds of products to meet customer’s specific demand. 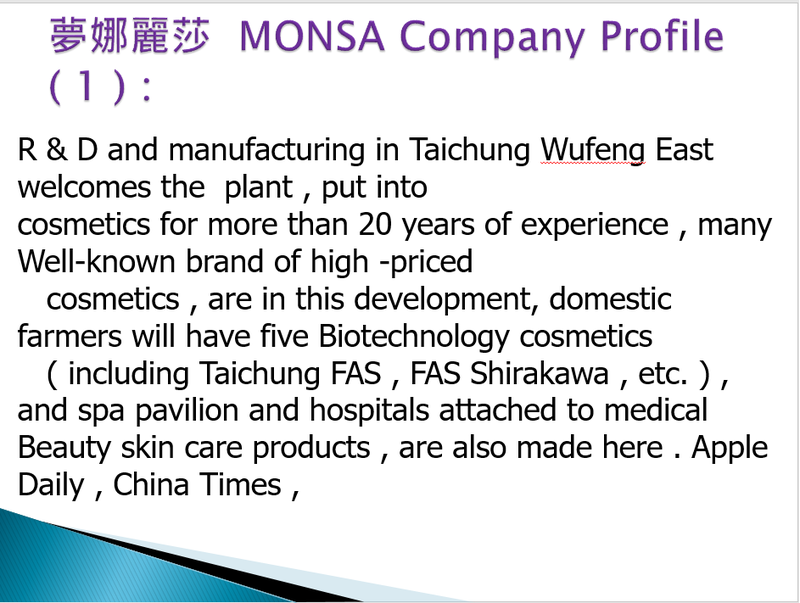 Tung Shin Chemical Co., Ltd was founded in Taichung, Taiwan in 1991., and has been OEM for many famous skin care companies, 5-star hotels, beauty salons, and hospitals. 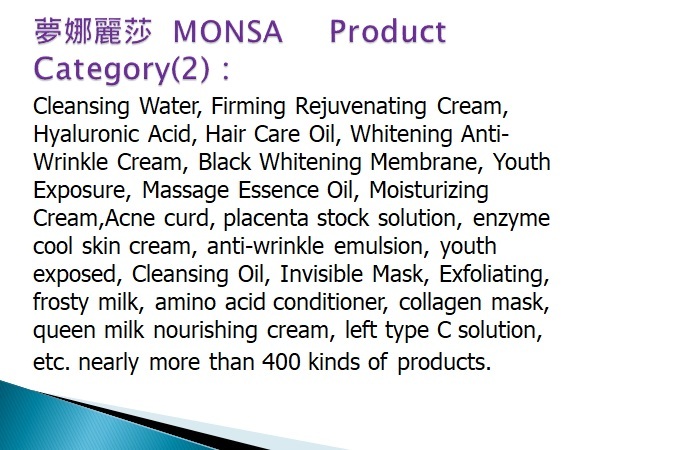 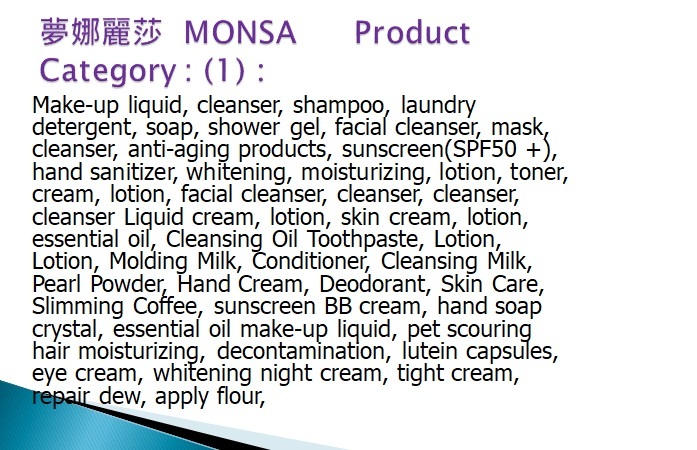 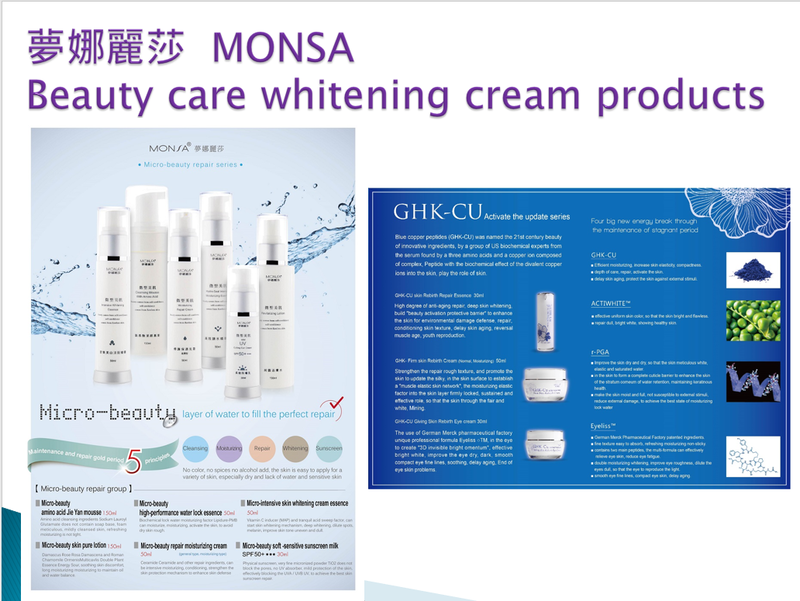 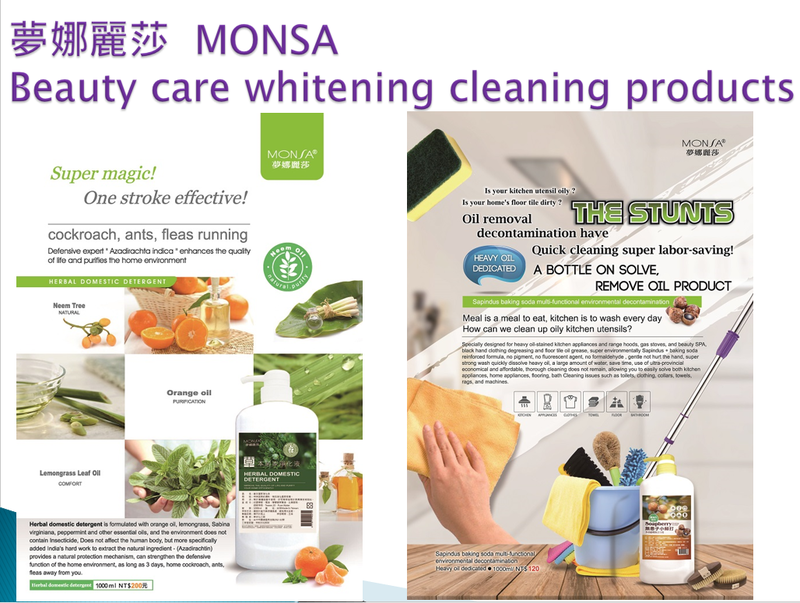 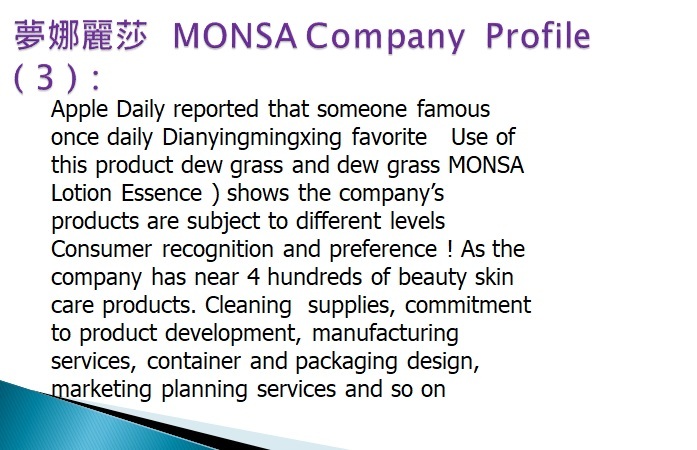 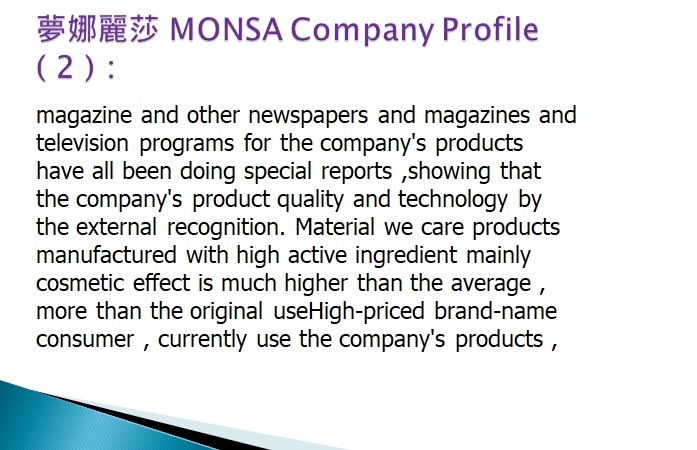 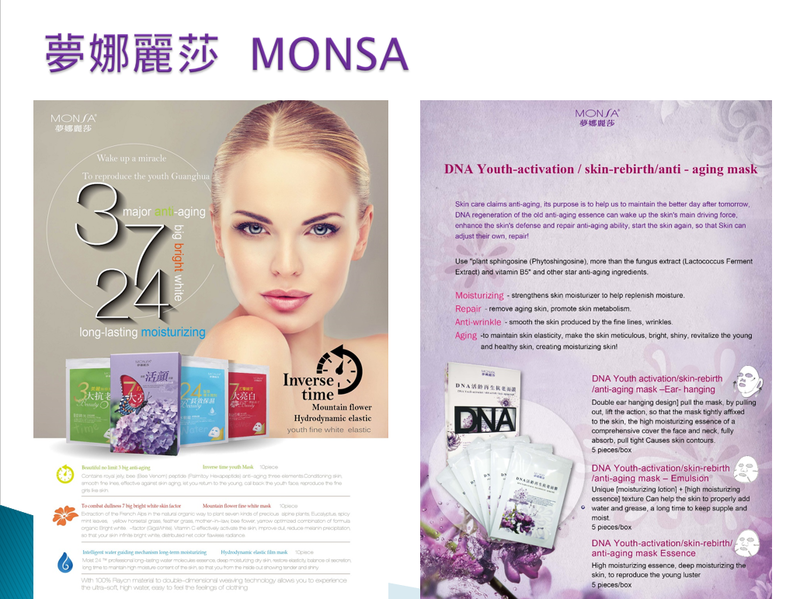 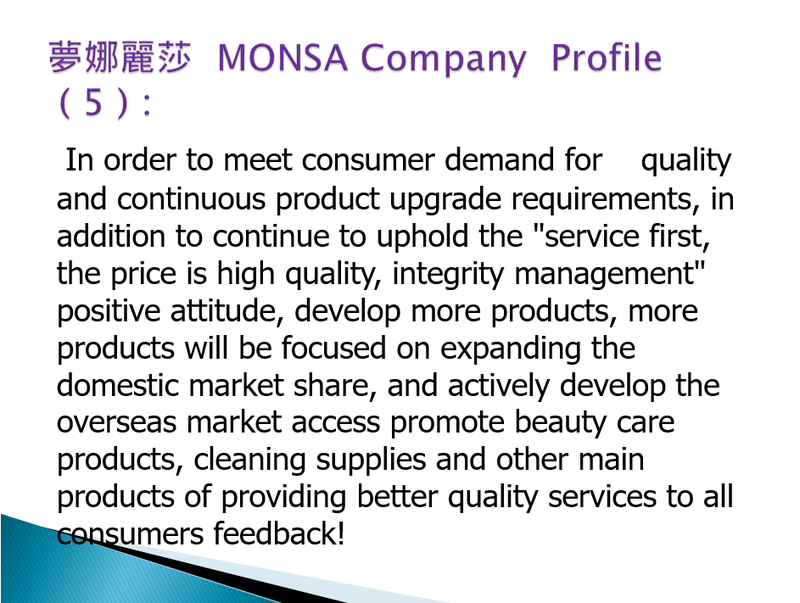 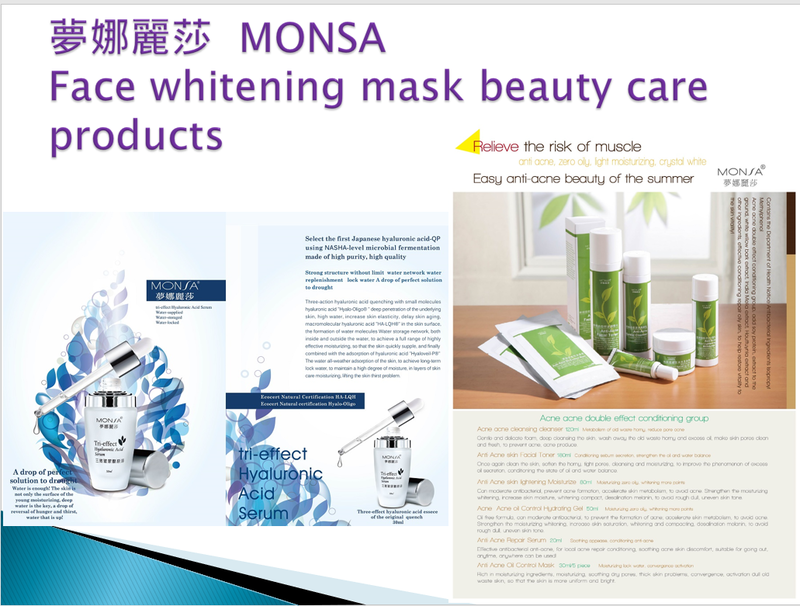 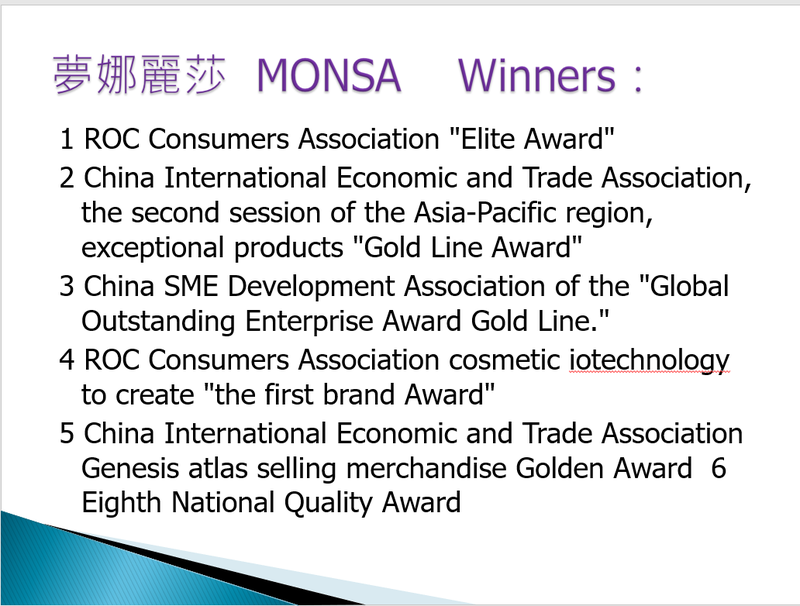 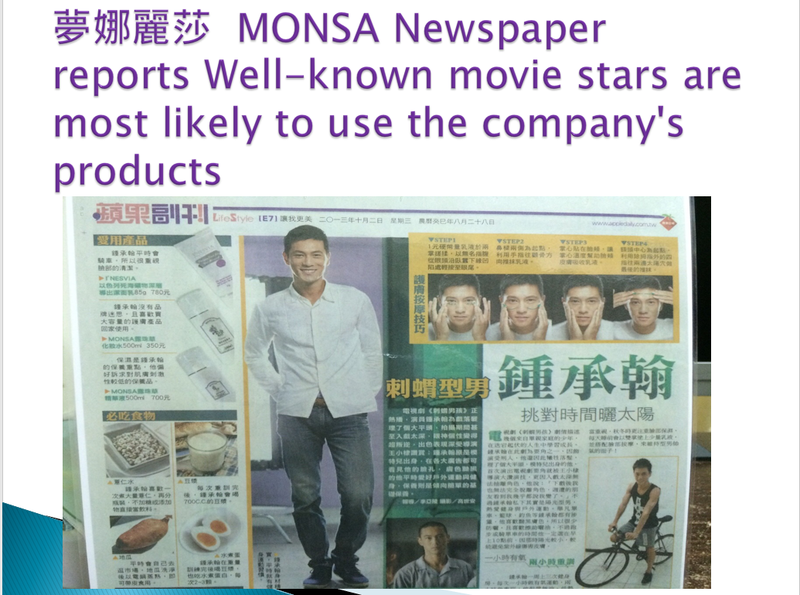 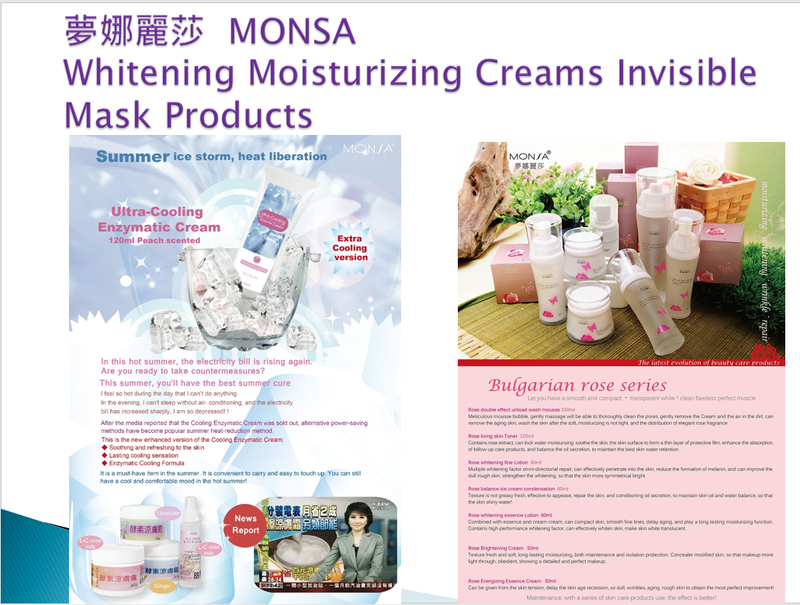 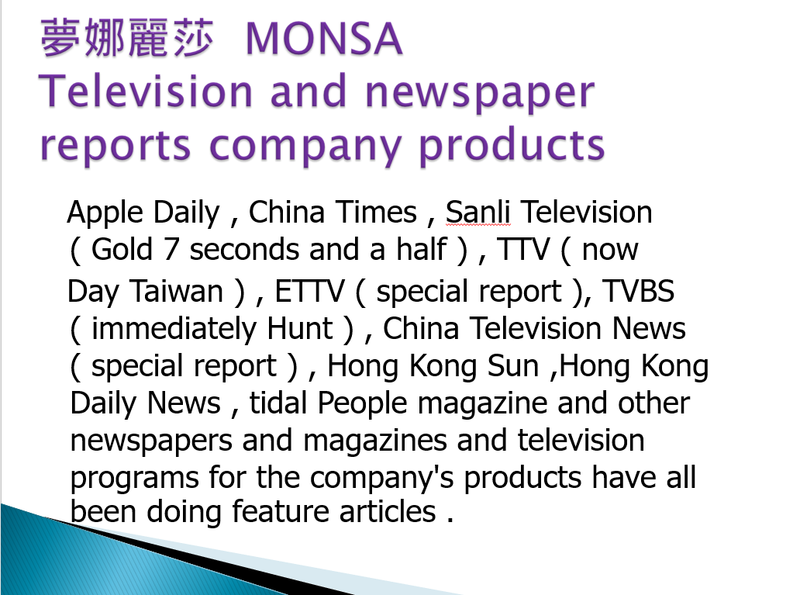 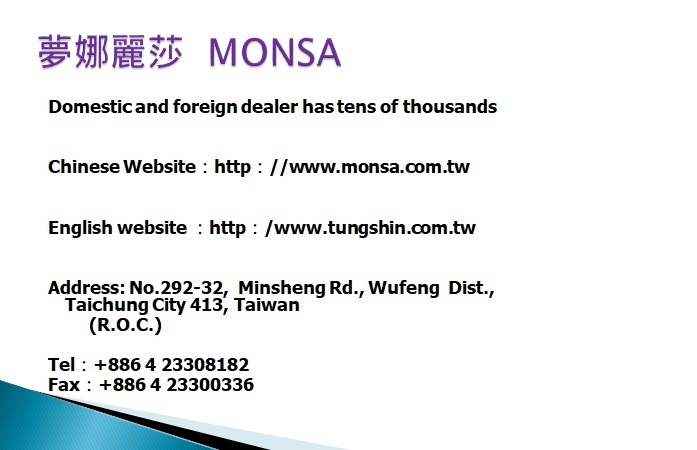 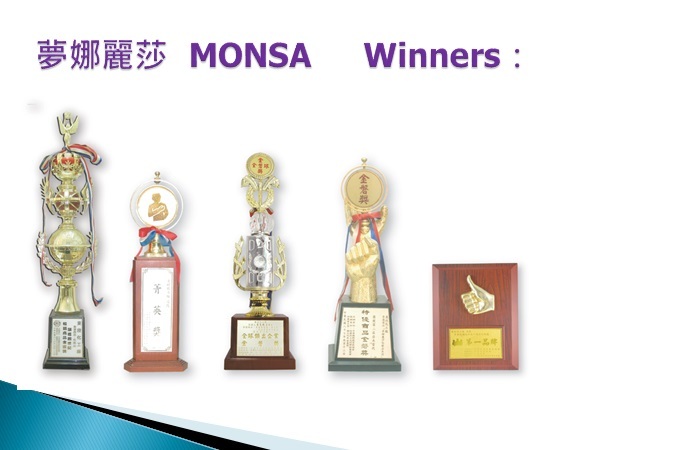 Over the years, we have created our own brand, Monsa. 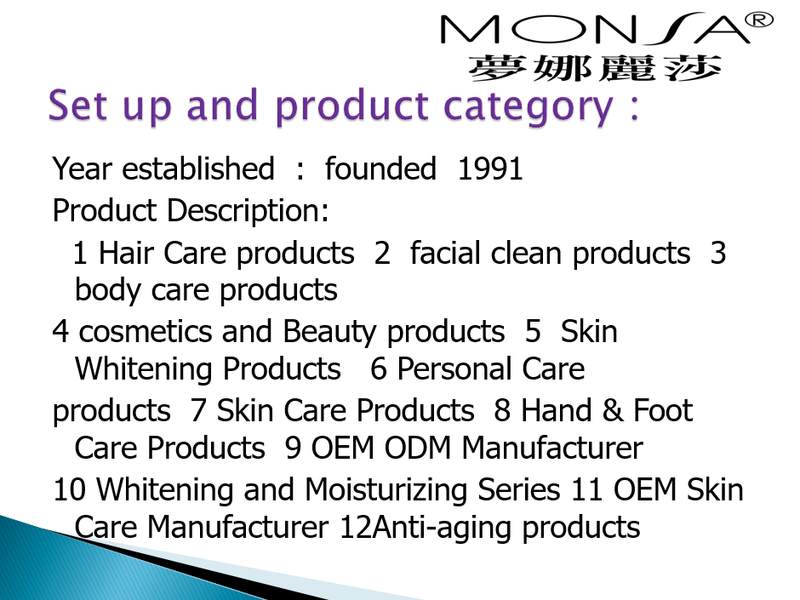 We also own more than 22 beauty Salons in Taiwan and also has expanded our sale market to Hong Kong, Singapore, Canada, and South Africa.